A brewery at the forefront of the recent craft beer boom has closed. After nearly five years in downtown Liberty, Rock & Run Brewery & Pub shut its doors last Tuesday. Rock & Run, co-owned by Gene DeClue (a bassist and the rock half of the equation) and Dan Hatcher (an ultra-marathoner), opened in December 2013 as a Northland brewpub. 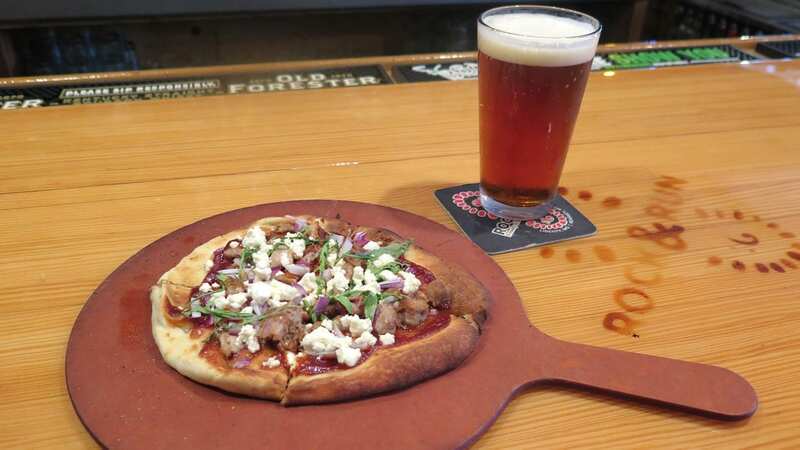 The brewery became known for wood-fired pizzas, golden ale and the seasonal Saminator IPA. Rock & Run had to scramble in 2015 to recover when a building under construction collapsed near its brewery in Liberty. 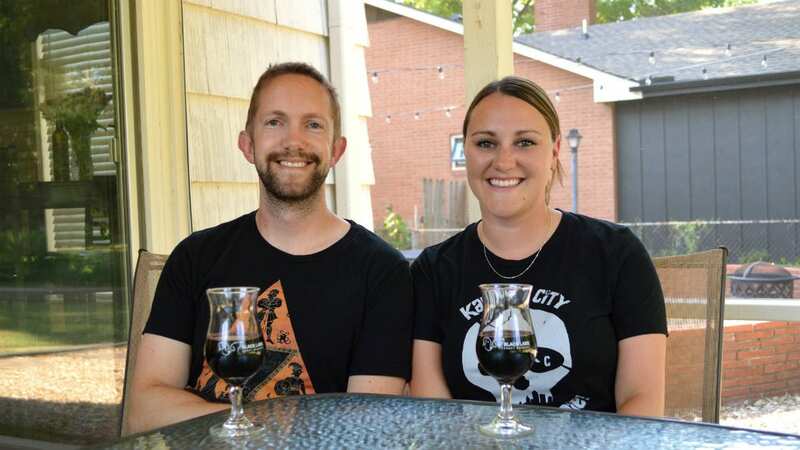 But the owners were able to relocate to an adjacent space that previously held The Bell (a grill and bar), and continue making beer at a production facility and taproom in Kearney, Missouri. The larger Kearney facility enabled Rock & Run to amp up its distribution and begin canning its Ryely Porter and 5K IPA. The Kearney location closed in 2017, however, as the brewery looked to focus on its Liberty operation. Now the Liberty location has closed, as well. You’ve got a brewery, Lenexa. Limitless Brewing Co. (9765 Widmer Road) opened last week, and the brewery has started selling canned beer in four-packs. This Sunday, The Waffler food truck will be parked out front between 1 and 4 p.m. Think about pairing a raspberry blonde ale with a Belgian waffle. The Black Squirrel releases keep on coming. Cinder Block Brewery has a series of events this week with the Russian imperial stout on draft and a limited release of custom glasses. Tonight from 4 to 7 p.m., Bier Station has a Black Squirrel release and happy hour pricing on all Cinder Block brews. On Wednesday, Grains & Taps will host a release party from 4 to 6 p.m., and you can go to 99 Hops House between 5 and 7 p.m. Thursday. Sweet meets heat in the latest mead flavor from Black Labs Craft Meadery (15833 S. Mahaffie St., Olathe, Kansas). Social Deduction is a mead made with habanero peppers, sweet basil and citrus. Duck fat mac and cheese. New Axiom Brewing Co. (949 NE Columbus St., Lee’s Summit, Missouri) is throwing a five-course beer dinner ($30) with chef Chad Tillman on Tuesday, Dec. 11. The decadent macaroni and cheese is second course and will be paired with Pond Side, a pale ale, while the fourth course is Korean street tacos and a grisette, a Belgian-style farmhouse ale. The doors open at 5 p.m. Dinner starts at 6 p.m. Forget horror movies, what you want is scary beers. iTap Crossroads (403 E. 18th St.) is hosting the Nightmare Before Christmas at 11 a.m. Saturday, Dec. 15. Get ready for Founders’ Kentucky Breakfast Stout, Torn Label 18 Rabbit (the collaboration brew with Christopher Elbow), Firestone Walker Coconut Rye Parabola and Goose Island CBS Midnight Orange. Meet a puppy. Drink a beer. Don’t overthink it. Boulevard Tours & Rec Center (2534 Madison Ave.) hosts KC Pet Project for Giving Tuesday from 11 a.m. to 8 p.m. 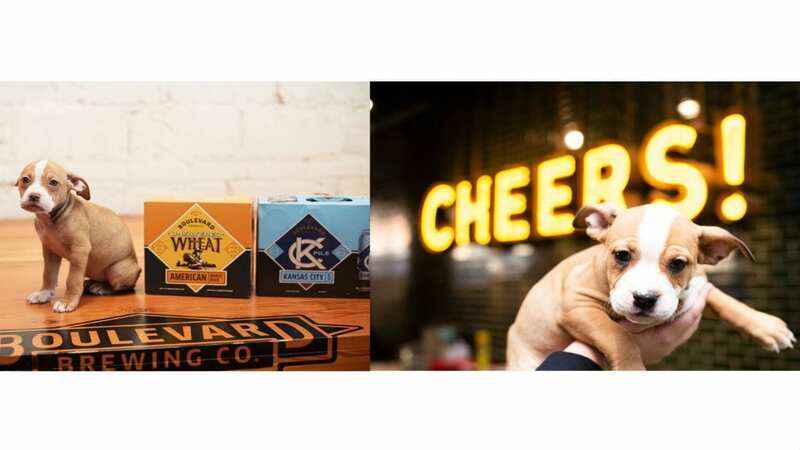 The brewery will donate $1 for every beer sold to the Kansas City animal shelter. KCPP will have puppies — available for adoption or just snuggling — from 5 to 7 p.m.
Just as Boulevard is to Kansas City, Firestone Walker Brewing Co. is to California. Fringe Beerworks (224 SE Douglas St., Lee’s Summit, Missouri) hosts a tap takeover for Boulevard’s sister brewery (Duvel Moortgat is the parent company to both Boulevard and Firestone) from 6 to 10 p.m. It’s a chance to drink deep into Firestone Walker’s beer catalogue. Maple syrup and bourbon are secret best friends. Unlock the secret to that friendship when Founders’ Canadian Breakfast Stout, which is aged in bourbon barrels that once held maple syrup, is tapped at Burg & Barrel (7042 W. 76th St., Overland Park, Kansas) for trivia night at 6 p.m. Brew Lab (7925 Marty St., Overland Park, Kansas) and Black Labs Craft Meadery will release their collaboration braggot, a beer-mead mash up, at 6 p.m. BL Squared is made with black raspberries and buckwheat honey. When Double Shift Brewing Co. (412 E. 18th St.) head brewer Bryan Stewart writes to tell you that a beer is a “weird one,” that might be an understatement. Cabin Creatures Five Spice Cocoa Stout (9.5% ABV) is a stout made with graham cracker, vanilla, cacao, cinnamon sticks and milk sugar. The five spice is where it takes a left turn: cinnamon, clove, fennel, star anise and Szechuan peppercorns will add some zing to the cocoa stout. Cellar & Loft (103 S. Jefferson St., Suite A, Kearney, Missouri) hosts a four-course beer dinner ($35) featuring 4 Hands Brewing Co. out of St. Louis, Missouri, from 6:30 to 8 p.m. The Reserve’s Sean Price will pair a shaved fennel salad with an IPA and boneless short ribs with the Devil’s Invention Stout. Call (816)-635-2555 to reserve a seat. East Forty Brewing Co. (1201 W. Main St., Blue Springs, Missouri) is now open at noon on Friday. As for beer, see if the nitro second breakfast porter or the der osten dunkelweizen, a dark German wheat, is on tap. Don’t drink alcohol? They’ve got house ginger beer on tap. Good things happen when you work together. BKS Artisan Ales (633 E. 63rd St., Suite 120) will have a pair of collaboration brews on tap and available to-go. 45 Blocks on Holmes, a New England-style pale ale that’s double dry-hopped, is a joint effort with City Barrel Brewing Co. The craft beer is named for the distance between the breweries on Holmes Road. BKS partnered with Jukes Aleworks out of Elkhorn, Nebraska, and Marto Brewing Co. from Sioux City, Iowa, on The Three Best Friends Nobody Ever Had, a New England-style double IPA.